What does it mean, to “take account” of Strasbourg judgments? There may not appear at first sight to be much common ground between a dispute in the European Court of Justice (CJEU) over hazardous premises and planning permission, and the relationship between the Strasbourg Court and domestic courts in their interpretation of the provisions of the Human Rights Convention. But one innocent-sounding phrase in the Human Rights Act which requires national courts to “take account of” the rulings of the Strasbourg Court has been causing so much trouble lately that it is worth casting around for any elucidation of its meaning, and some very welcome light has been thrown on it by AG Sharpston in the CJEU, albeit in a completely different context. 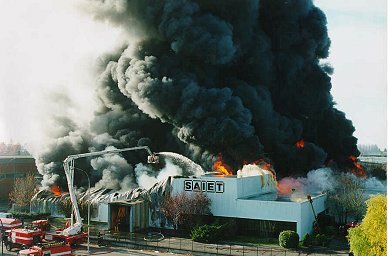 Following the accidents at Bhopal and Mexico City, the EU introduced a Directive (“Seveso II“) to limit the consequences of incidents involving hazardous substances. Under Article 12 of the Directive, member states are obliged to keep a “suitable distance” between residential or environmentally sensitive areas and establishments presenting such hazards are sited. ensure that the objectives of preventing major accidents and limiting the consequences of such accidents are taken into account in their land-use policies and/or other relevant policies. It was precisely how this obligation to “take in to account” should be fulfilled, that was the focus of this case. The applicant, a garden centre company appropriately entitled “Mücksch”, was granted planning permission to build a centre on a plot that had been occupied by a metal recycling operation. The area is surrounded by industrial premises which fall within the remit of Seveso II. The owner of these premises, Merck, objected to the preliminary planning permission, contending that the authorisation of a garden centre project in that area was precluded by Seveso II since the project potentially increased the presence of members of the public in the vicinity of their hazardous establishment. The first instance court dismissed this objection, holding that under national law the construction of a garden centre was “in keeping” with the surroundings and that the requirements already imposed on Merck by major accident prevention rules meant that other nearby premises were safely used by the public and that no extra safety measures were required of the proposed Mücksch project. In these circumstances, the planning authority had no discretion under German law to refuse the permission. This created a somewhat insuperable difficulty in that national law and EU law appeared to be pulling in opposite directions; the domestic position was that, provided an applicant for planning permission complied with the local building code, the local authority had no room for manoeuvre. It must authorise the development. But then where did the obligation under Seveso II cut in? So when the matter went on appeal, the Federal Court referred the question to the CJEU as to whether Seveso II required member states to ensure that their planning authorities had to ensure fulfilment of the “suitable distance” obligation, or whether it was sufficient that at a policy level these obligations were observed, and that national regulations relating to healthy living were satisfied. The basic issue, in other words, was whether Article 12(1) of the Directive imposed obligations only at the level of land-use planning, or whether these were also imposed at the level of individual decisions to grant or refuse authorisation for particular projects. What Member States are required to do is to ensure that their polices and implementing procedures ‘take account’ of that need. In other words, the need in question must be, as it were, entered in to the balance sheet; it must be weighed up against other relevant needs and interests when elaborating or implementing the policies concerned. Such a process does not lend itself to automatic decisions predetermined by law and arrived at by the simple application of a formula. So in this case, although the “need to maintain appropriate distances” must be taken in to account at the planning stage, it does not necessarily mean that permission should automatically be refused. It is simply that to be compliant with EU law, the state must not automatically grant planning permission without reasoned account of the need to maintain these distances. The AG then goes on to consider what the substantive requirements of the directive meant in practice for the parties in this particular case. She concluded that, if Merck were right, and the directive did in fact entail an absolute prohibition, that would mean an overriding weight would be given to the interests of operators of establishments posing a risk. This is not what Seveso II sets out to do at all. Following this opinion, as it usually does, the CJEU ruled that the Seveso II obligation required that the “need for appropriate distances” be taken in to account at all stages of the authorisation procedure, without dictating the result as to whether permission should be granted or not. There is nothing flimsy or wishy-washy about states’ obligations under EU law, whatever economic or political crises may be assailing Europe in general: the obligation arising from any EU directive is to achieve the result envisaged by that directive, and therefore each state has a duty to take all appropriate measures to ensure the fulfilment of that obligation in accordance with the principle of “sincere cooperation” in the Lisbon Treaty. The CJEU is implacably opposed to any attempt by Member States to plead that practices or circumstances in their internal legal orders are such as to justify a failure to comply with these obligations. On the other hand, whether applied to Seveso II or any other Directive, this formulation by Sharpston is a somewhat more nuanced approach than often advocated by the CJEU, and gives national authorities more room for flexibility in their efforts to observe international law on the one hand whilst maintaining the proper balance between high level policy and local needs on the other. Our courts could do worse than adopt this approach in resolving actual or potential conflicts between national priorities and Strasbourg jurisprudence. Lord Irvine was surely right to point out that “take into account” does not mean “mirror” or even “follow”. However, his contention that “take into account” equates to “have regard to”, “consider”, “treat as relevant”, “bear in mind” or “consider” might overbalance the other way. The metaphor of “taking into account” is drawn, obviously enough, from accountancy. The Federal Court must be right when it suggests this means something like “enter in to the balance sheet” – i.e. something more active than, say, viewing something from far away and taking note of its existence. When a judge takes something “into account”, they must surely “get up close” to it, “handle” it, and then give it a value – great or small. So in taking a Strasbourg decision “into account”, it surely won’t be enough for a judge to say: “I am aware of Strasbourg’s judgment in X” – and leave it at that. They will have to give it a value, explain their reasoning for giving that value, and then explain how they have applied the value. But that is still a very long way from mirroring or following a Strasbourg judgment.